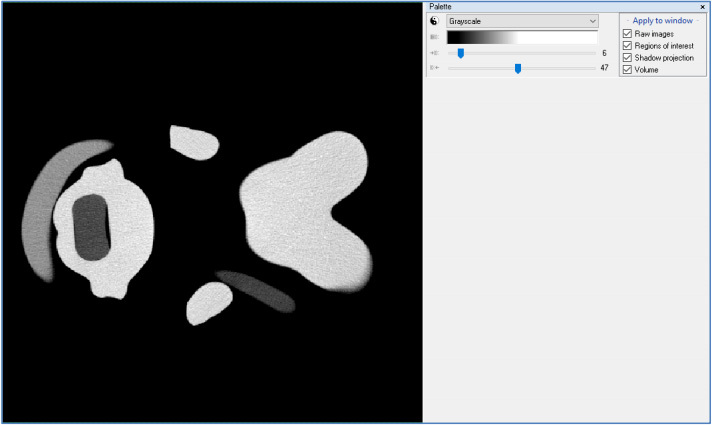 How to improve your micro-CT images with image filtering and enhancement tools. Filtering your 3D data sets, reducing noise and how to improve contrast or adjust dark images for better micro-CT results. 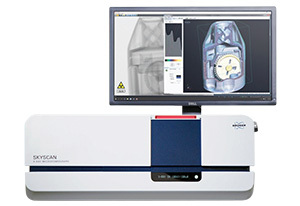 Image noise can be a troublesome issue in micro-CT, causing unwanted image artefacts. Sometimes the problem can persist despite careful acquisition, multiple projections and frame averaging. While smoothing during reconstruction can reduce noise from a distance, it removes the details from your image – detail such as porosity can be lost. A solution to this problem is image filtering in Bruker’s CTAn software. It uses a range of filtering algorithms to to make your images and results look better. By using the correct filter, you can get high quality results from even the most challenging data sets. Traditional filters such as Gaussian smoothing and median filters, long-established methods for image and photo processing. Advanced algorithms such as Conditional Mean and Anisotropic diffusion filters, specifically developed for scientific image processing. Each algorithm has strengths and weaker points and is suited to different situations, so choosing the correct filter has a great effect on your results. A method note (MN112) is available about advanced image filtering, with more details about the various algorithms and example images – contact us for a copy. The method note contains data showing the effect of each filter on signal-to-noise ratio, showing you which filters preserve resolution and which take the longest to calculate. Conditional mean filtering (radius 5, threshold 10) makes the image smoother. While image filters can significantly improve signal-to-noise ratio, they can take time to compute. When just a small adjustment is needed, such as a little extra contrast or brightness, image enhancement tools can make all the difference. Contrast enhancement by changing grey value limits. Setting contrast limits during image reconstruction in NRecon. Applying new linear or non-linear look-up tables to images in DataViewer. Using automatic histogram optimisation algorithms for data visualisation in CTAn. These adjustments not only make your images look better, but they also improve your analytical workflow, making your results easier to work with.